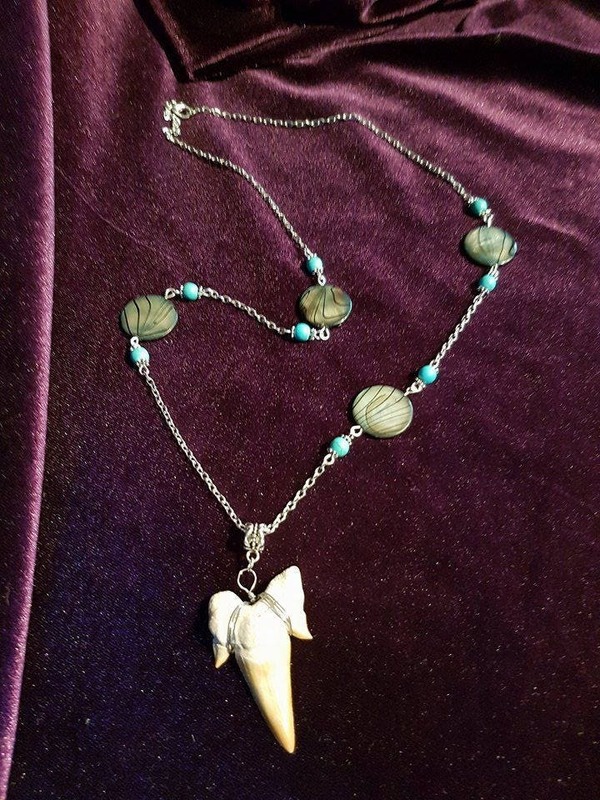 Shark Tooth Fossil Necklace . 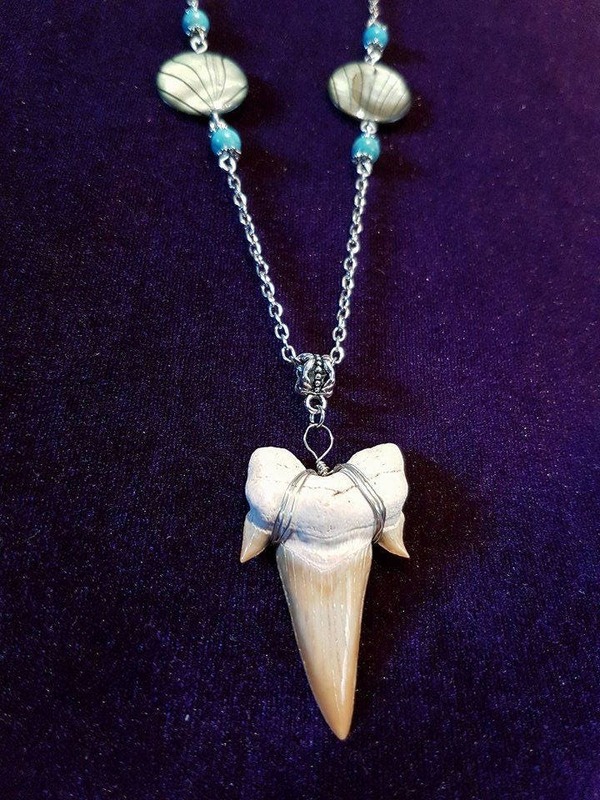 Necklace with 4.5 cm big shark tooth. 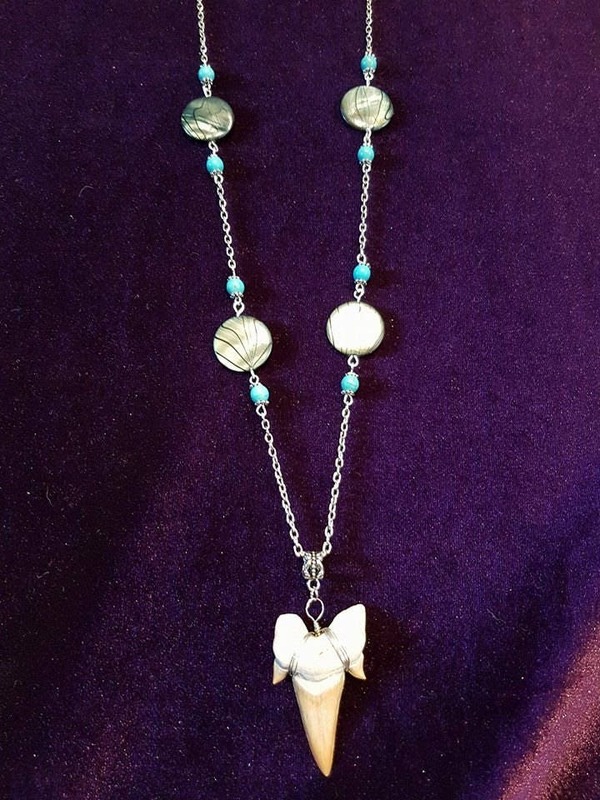 Fossil. 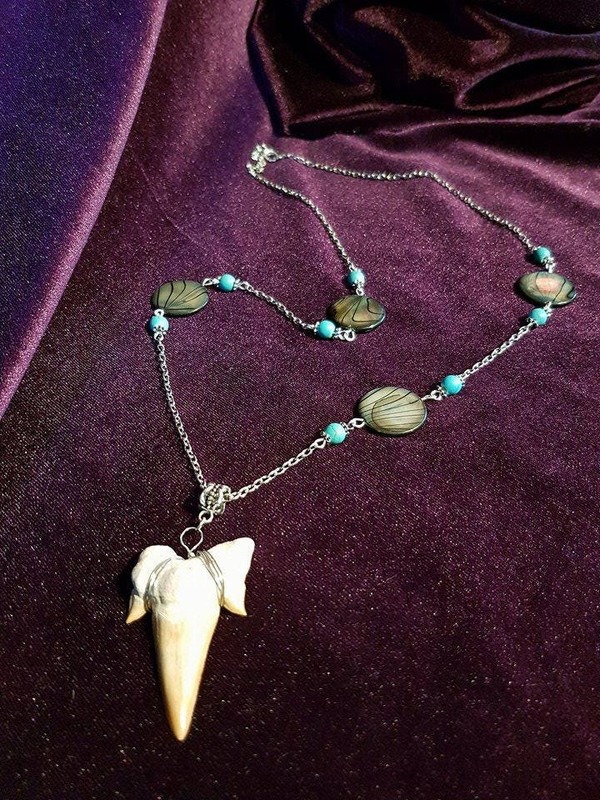 Abalone pieces & Turquoise gemstones were used. 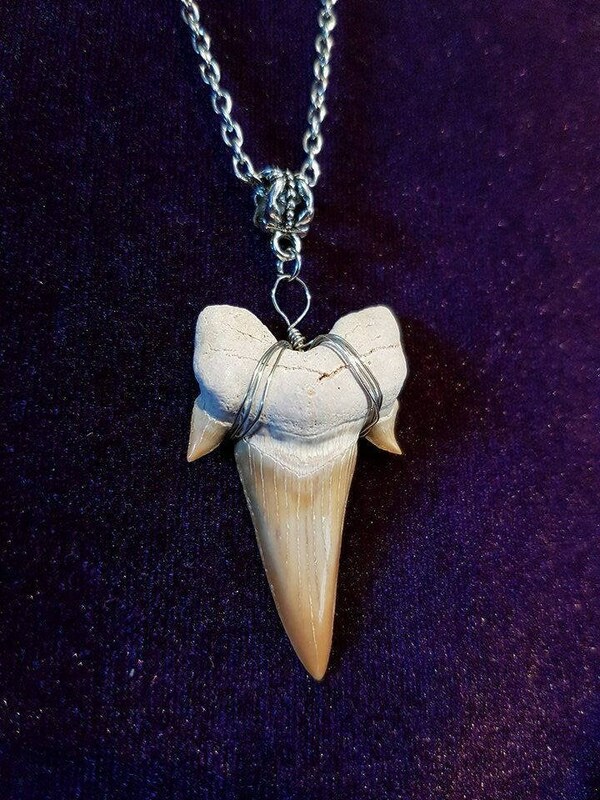 If you don't know much about shark-tooth collecting, then you may not know that these relics are more than just teeth -- they're fossils. Sharks have been living on Earth for about 400 million years. 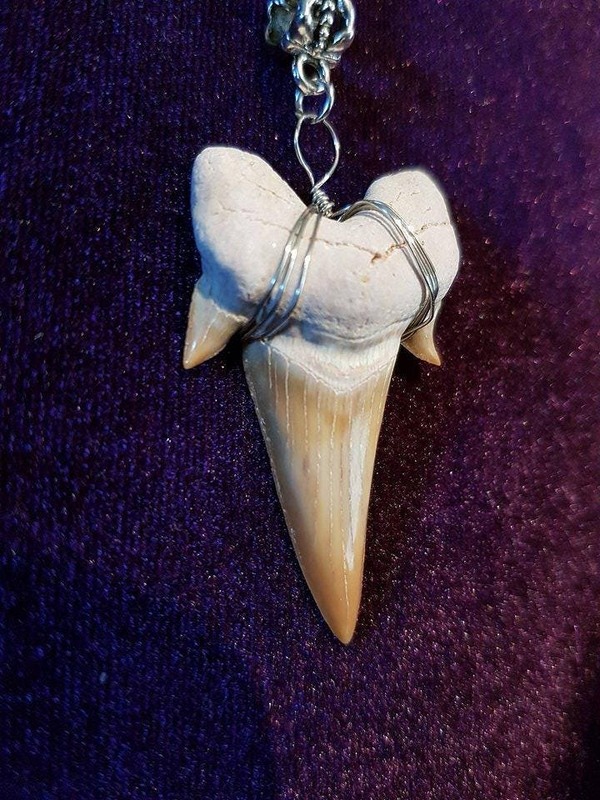 When a shark dies and its cartilage dissolves, the teeth fall to the bottom of the ocean and get covered with sandy sediment. 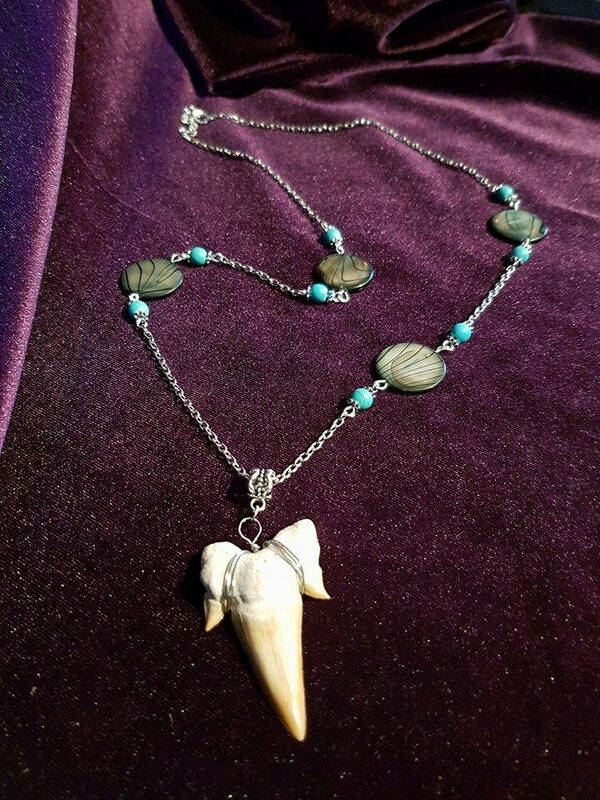 This sediment prevents oxygen and destructive bacteria from reaching the tooth, and it fossilizes over the course of about 10,000 years. That's why most of the teeth that are found and collected aren't white, but gray, black or brown -- the color of the sediment. The tooth absorbs the minerals in the sediment and these minerals eventually replace the dentine and enamel that makes up the tooth. Voila, you have a fossil on your hands.